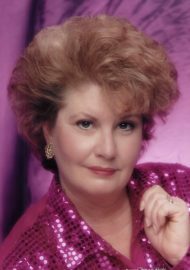 Barbara A. Hess, 71, of Lititz, passed away after a lengthy illness on Monday, April 8, surrounded by her family, at Lancaster General Hospital. She was the daughter of the late Merial and Charles C. Speakman. Surviving are her husband Harry Hess of Lititz and his son, Colby Ryan of NYC, daughter Michele Sager and her companion Darryl Yarnes also of Lititz, and brothers Charles C. Speakman, Jr. of Ephrata and Thomas P. Speakman of Honey Brook. Barbara graduated from Pequea Valley High School. She was last employed by ISC as a government military inspector. She served as past president and chairman of Elk Sertoma. She enjoyed travel, cruising, gardening, cooking, and entertaining. Barbara was a member of Calvary Church on Landis Valley Road. A memorial service will be held at Calvary Church on Friday, April 12 at 10:00 AM with a time for greeting form 9:00 until 10:00 AM. Our sympathy and prayers for you and your family. We are so sorry for your loss, keeping you in our prayers. Barb is finally at peace and pain free. Please know my thoughts and prayers are with you.